Unlike in the past, it is now possible to engage in online learning with the help of online-based platforms. Most people are used to sharing online courses via general mails not knowing that there are platforms that feature more advantages. 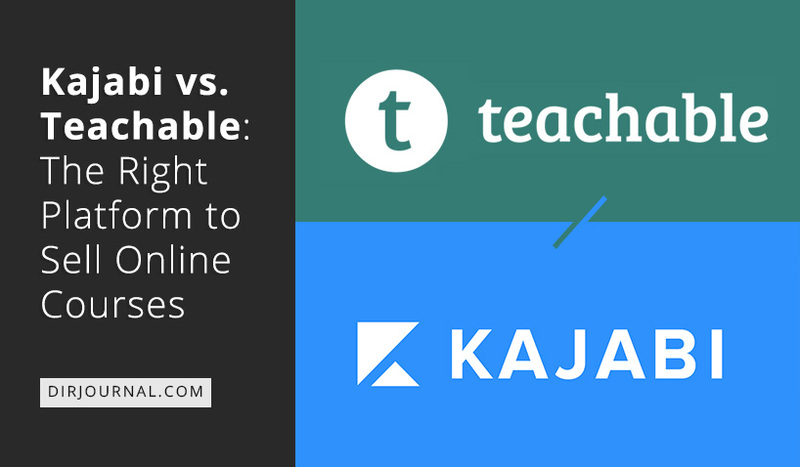 Kajabi and Teachable are among the many platforms that are used in sharing online courses. The aforementioned platforms share a number of similarities. However, the differences that exist between the two are more explicit, and this forms the basis of choice among consumers. Both Kajabi and Teachable were established to help in taking education to the next level technology-wise. However, the manner in which lesson sharing is done on both platforms vary. Online education is expected to grow tremendously in the near future. PR Newswire Report indicates that the online-based education will grow by a whopping $88.97 billion by the year 2020. This comes as a positive indicator that education in the online front is bound to dominate offline learning as time passes. The growing demand for online education is considered pivotal in dictating the number of platforms that will be established to facilitate just that. Established back in 2009, Kajabi comes as an online education platform whose aim is to combine knowledge and content to ensure utmost benefits to learners. It is a platform that provides all the tools you need under one roof. With Kajabi, it is not always about taking online courses using computers. This is because the platform gives room for mobile phone users too. This is made possible by the responsive mobile interface that the platform features. With this feature, it becomes possible to have a clear view of content even on a small mobile screen. It is also possible to navigate through the platform since all functions are strategically displayed on your mobile screen. The display is very clear hence sparing you a lot of straining when taking your course from your mobile gadget. For the purpose of authentication, users of Kajabi are given a chance to choose from a wide range of themes to help in identifying what they have to offer. The platform gives you the chance not only to sell your content online but also to sell your preferred theme. A theme is always considered very vital in boosting your relationship with customers. In fact, a theme can give you a competitive edge over others in the industry. Kajabi assures you the best themes and also a competitive edge, hence maximum sale of your online course. It is possible to upload your videos and communicate your message. This is one of the features that make Kajabi a commanding online course-sharing platform. Kajabi ensures that your customers get flawless encoding of videos. Flawless and speedy viewing of videos is assured with this feature. You don’t need to juggle multiple tools to have a thriving online business; you just need Kajabi. It provides you with the chance to market your course and consequently make the most sales out of it. Kajabi prides itself in giving a lot of market leads to users, hence prompting massive sales. It takes a matter of minutes to develop functional and beautiful landing pages. Needless to say, landing pages work ideally in ensuring that conversion rates in any business are high. Users enjoy the privilege of choosing from a wide range of landing page templates. In this regard, you have the chance to brand yourself and make as many sales as you can. Kajabi helps you turn your passion into profit. This is certainly what most prospective users of online course sharing services ask. How much should you be ready to pay for Kajabi? Well, basic package should cost you approximately $103 per month. Pro goes for $311 per month while Premium goes for $719 per month. Be the one to choose the package that meets your specifications. The platform was founded back in 2009, the same year as Kajabi. There are a number of features that make Teachable unique as compared to Kajabi. This is considered as the most important feature considering that you might be sharing your online courses with people from different regions across the world. The feature allows you to communicate to your students in a language that they can understand. In other words, online course sellers have the chance to reach out to as many students as possible, without worrying about language barrier. Teachable understands that there are a lot of ways in which lessons can be conveyed to students. It is for this reason that the platform allows you to use different multimedia lecturers. In this case, you can use text messages, videos, audio, and pdf files. In other words, you have the chance to send your online courses in formats that match with your receivers’ preference. Teachable enables you to customize your lessons based on the student you intend to address. Again, this is a feature of convenience considering that you will have the liberty to coach as many learners as possible. After all, you can tune all lessons to match the needs of a particular student. Online education has never been this easy, thanks to online course sharing platforms. It is however, mandatory to make a choice between different platforms and employ the one that suits you better. Convenience is always considered very important. It is all about communicating in the best way and ensuring that your students get the knowledge they want.